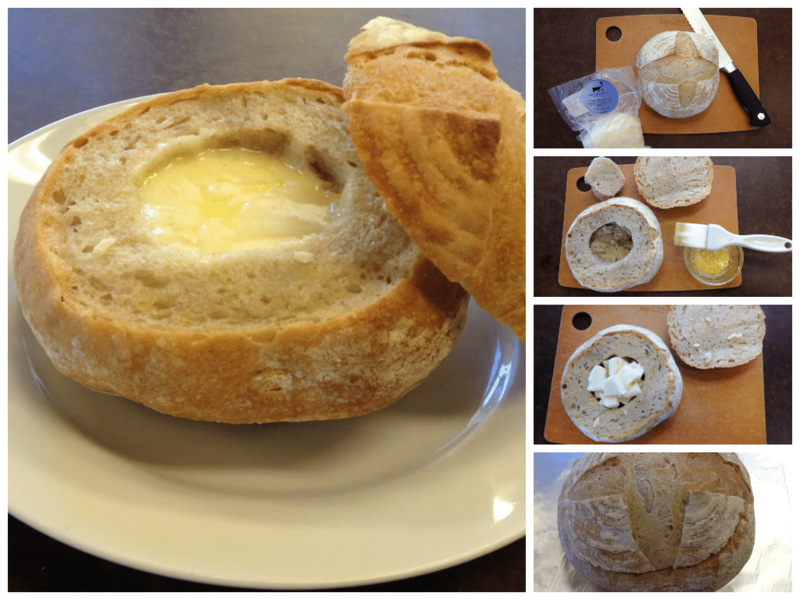 Do you know what you can do with Asako’s Sourdough Bread, Golden Glen Fresh Mozzarella and a knife? Try this easy and delicious party favorite — stuffed bread — we’ve been enjoying it in the 21 Acres kitchen — perfect for the upcoming Superbowl Game! Step four- Final step, open the lid and enjoy! Place on serving platter or dig in. You can use a knife to cut the bread or just pull it apart and dip!